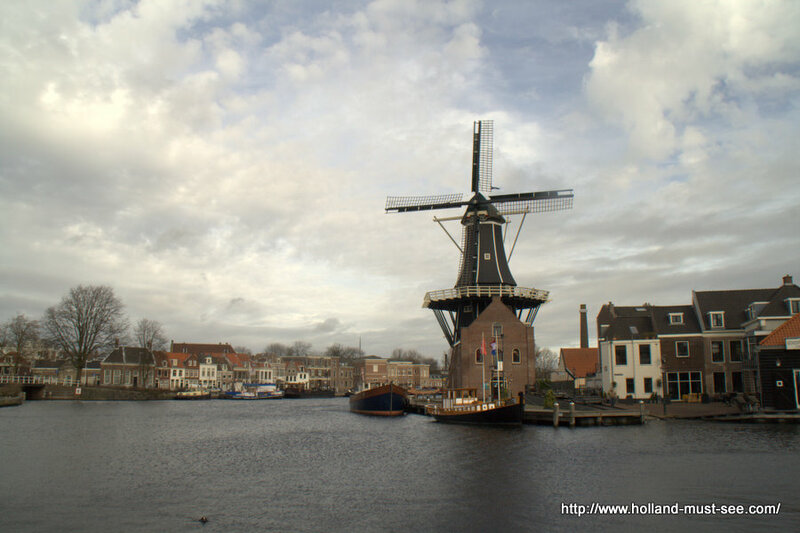 From 1778 until 1932, windmill De Adriaan, on the bank of the river Spaarne, was an important landmark for the city Haarlem. Disaster struck in 1932, when the mill was completely destroyed by fire. Since that time, there have always been plans to rebuild De Adriaan, but it did not happen until the turn of the century. In 2002, 70 years after the fire, a completely new windmill finally opened its doors and spinned its sails. 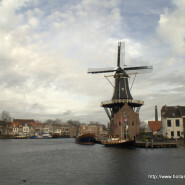 Though new, the windmill, also named De Adriaan, looks exactly the same as his predecessor. Scale model of windmill "De Adriaan"
"De Adriaan" is open to visitors. A visit includes a short documentary film about the river, a guided tour, a small exhibition of models and displays on the first floor, and spectacular views of the city and the river from the stage on the second floor, twelve meters above the river. De Adriaan is at walking distance from the train station. For opening hours and entrance fees see the website of De Adriaan.